Half mile from Sandy Beach (1 minute in car - 12 minutes walking) this place is ideal if you want to be close to the beach but away of all the nightlife noise. We provide beach chairs, beach towels and beach cooler. All on an affordable rate! Delicate one bedroom apartment perfect for couples or friends traveling together. 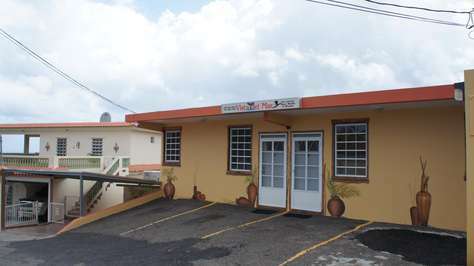 The unit has a fully equipped kitchen which is great for cooking your own meals. The living room has a futon, TV and the whole apartment has WiFi. The bedrooms have a queen size orthopedic foam bed and a private balcony with a partial ocean view and a beautiful view of the mountains. The private balcony its great to have a coffee in the morning or drink a glass of wine in the evening. The bedroom closet has an iron, hair dryer, ironing table, beach towels, beach umbrella, beach chairs, and beach cooler. There is also a safe box to put your valuables during your stay. 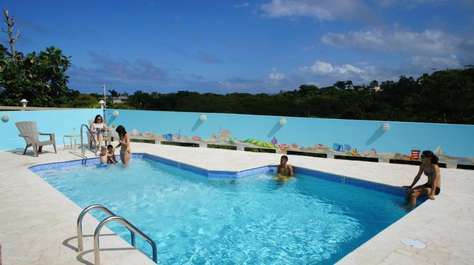 The pool area is great for sunbathing, reading a book or just relaxing after a fun day at the beach. 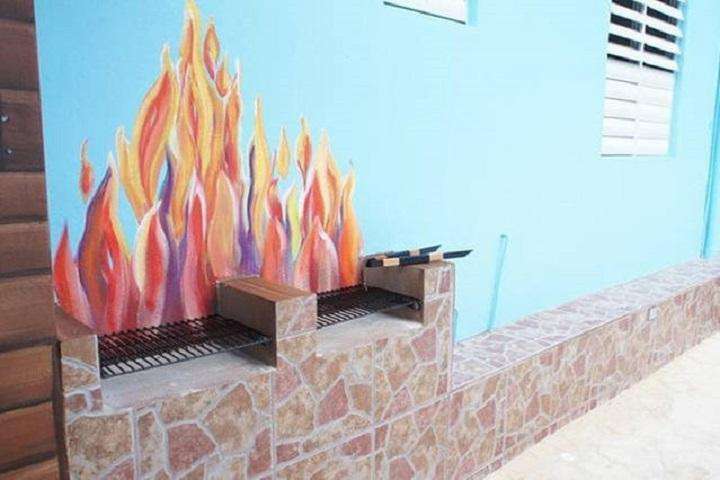 There is an outdoor kitchen area with gas stove and charcoal grill. We offer our guests free laundry facilities and off-street parking. The property runs on a solar system and also has a generator and a water reserve.